Pasta Fazool (Minestrone) is synonymous with the Southern region of Italy. 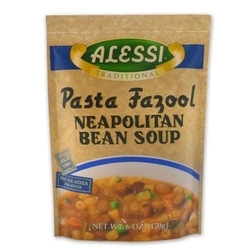 Fazool is from the Italian word Fagioli , which means bean . The Neapolitans perfected this thick, three bean, multi-vegetable pasta soup. This entitled them to rename the dish in their own dialect, and it thus became known as Pasta Fazool.